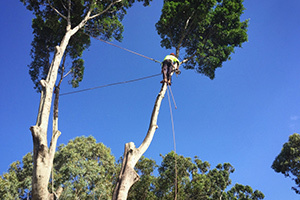 Perth Arbor Services provides high-end tree services to residents in Kalamunda, Perth. 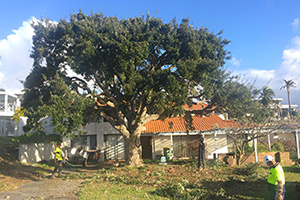 We specialise in tree care but understand that, in some cases, a tree or its branches can become a hassle and has to be removed. Learn more about our services below. Tree lopping can be a necessity if a tree on your property has excessive branches that are problematic for some reason. Tree lopping refers to fast and loose branch cutting and, since it can harm a tree, lopping should be done with care. When your tree has dead branches, you have to prune it to stimulate growth. Pruning differs from lopping in that it involves a specific type of cutting at the right angle and place on the branch. Stumps that are standing on your property can be difficult to remove yourself, especially if it is a large stump that is standing next to a wall or in some other inaccessible location. 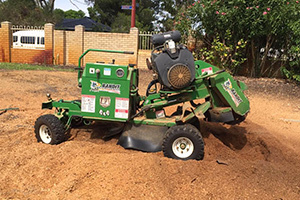 Perth Arbor Services can remove the stump or grind it down so that you can make full use of the area. Do you have a piece of land or lot that you want to develop? One of your first steps is to clear the area from shrubs, weeds, and bushes. In some cases, you may even have to remove trees. 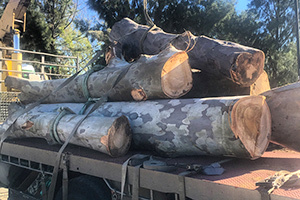 Contact Perth Arbor Services to get the job done for you. If you suspect that a tree may have a disease or some other problem with growth or canopy health, you can contact us to do a tree risk assessment to check for any issues and possible solutions. When a tree is problematic due to its height, location, size, thorns, or branches, you may have to remove it. 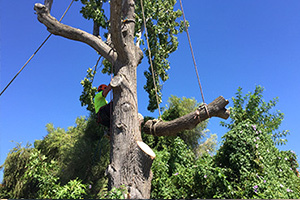 Contact Perth Arbor Service to cut down your tree safely. 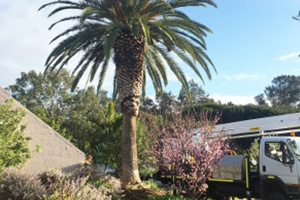 Have questions about Tree Lopping Kalamunda?